Hamerville Media Group to 'fill a gap in the North West'. Kicks off February 16th. Bike industry marketing and PR firm Red Cloud has teamed up with the Hamerville Media Group to announce the formation of ‘The Bike and Triathlon’ Show, scheduled to occupy Manchester Central on the weekend beginning February 16th, 2013. Targeted at the entire cycling community, from families of cyclists, through enthusiasts and professionals of all things pedal powered, the show will host a number of interactive features, including test tracks, a skate park and a main stage set to host speakers and cycling seminars. The organisers, Hamerville Media Group, are publishers of trade magazines and event organisers for tradesmen spanning builders, the green and eco industry, electricians and many others. 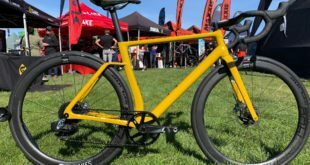 With the expertise of Mark Almond of cycle industry marketing firm Red Cloud, the hope is to bring the company’s expertise in putting on a show to “plug the obvious gap in the market for a bicycle and triathlon show dedicated to the North West. Though still early days, Gale said he expects the show to have a trade element and welcomes trade visitors. Trade ticket prices are still yet to be decided, though consumer visitors will pay £12 on the door, or £9 in advance. Zone sponsors and partners are sought for many of the interactive features planned. Contact sales exec Aaron Dombey on 01923 237799.